Jurors who awarded $289 million to Dewayne Johnson, a former school groundskeeper who is dying of cancer, are imploring a San Francisco judge to reconsider her tentative decision to overturn most of the damages against Monsanto, manufacturer of the weed killer found to be the cause of the man’s illness. Back in August, Monsanto was ordered by a Californian court to pay $289m damages to Johnson, who said working with herbicides containing glyphosate caused his cancer. Adding support to Johnson’s case, glyphosate had already previously been cited by the World Health Organization’s International Agency for Research on Cancer as being “probably carcinogenic to humans”. 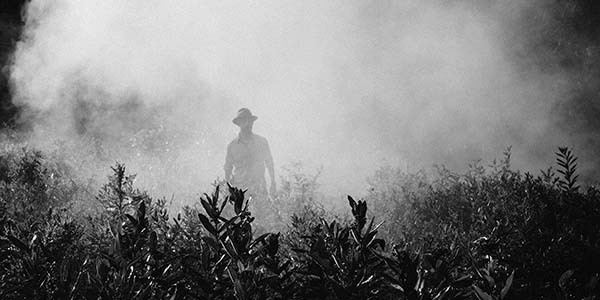 This finding was highly damaging to Monsanto’s decades-long campaign to deny the health dangers of its ‘Roundup’ herbicide, which contains glyphosate. Whatever damages are finally awarded to Johnson, Monsanto’s problems – and those of Bayer, who recently bought the company for $63 billion – are just beginning. Several thousand more lawsuits are now lined up, whose claimants similarly say glyphosate-containing products caused them to develop cancer. With Bayer denying the validity of these claims and insisting it will fight them ‘vigorously’, the company’s profit-over-life philosophy would appear to be just as deep-rooted as it ever was.